What should I expect when being fit for partial dentures at Anderson Family Dental? If you decide to get a partial denture, you’ll need to visit Dr. Anderson to have metal clasps attached to your surrounding teeth and an impression made of the area your partial will fill. The impression will be sent to a dental lab, where a technician will fabricate a custom denture that includes a gum-colored base that will fit securely over your gums. 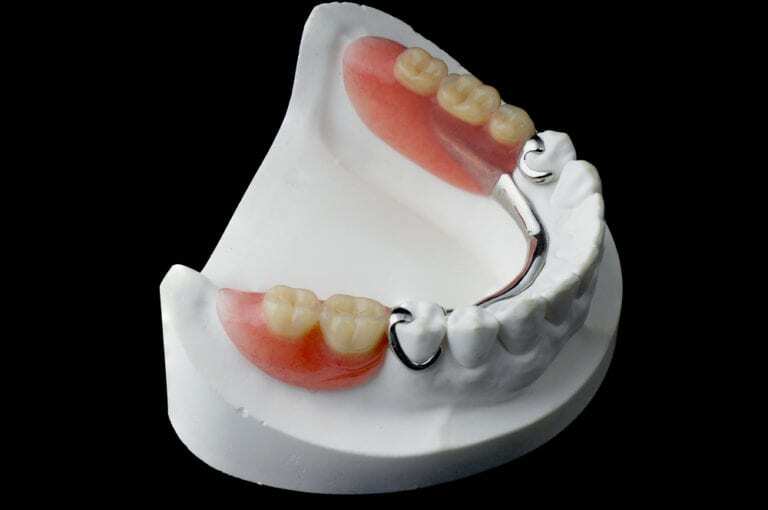 A metal framework will be used to attach your new partial to the clasps on your natural teeth to ensure a secure fit. Yes. Good oral health is still important – even if you have a few missing teeth. In addition to caring for your new dental prosthetic, you’ll also need to brush your gums and tongue twice daily to stimulate circulation and remove bacteria that could cause gum disease. Continue seeing Dr. Anderson twice yearly for exams and cleanings, and be sure to bring your partial dentures along to each visit. After a few years, you may find that your partial needs to be rebased to better fit the changes to the bone structure in your mouth.